Crowne Plaza Palo Alto is a full-service hotel located in the epicenter of Silicon Valley. 195 guestrooms and suites are appointed with modern comforts & technology. 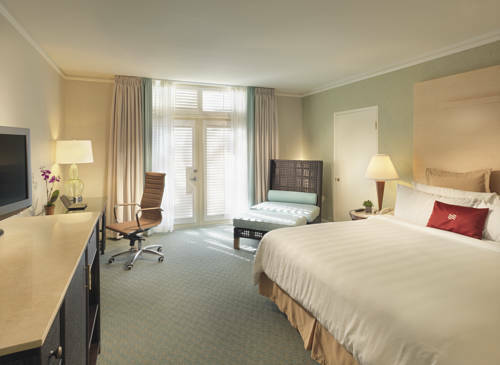 Whether traveling for business or leisure, the Crowne Plaza Palo Alto will exceed your expectations! Crowne Plaza Palo Alto is the place to stay when visiting Silicon Valley businesses. Google, Facebook, Hewlett Packard, SAP, Tesla, and VMware are just a few of the companies minutes away. All the tools you need for a successful business trip to Silicon Valley can be found at our hotel! We provide complimentary Wi-Fi in all guestrooms, 24 hour room service, and the Crowne Plaza Sleep Advantage Program. Our hotel offers over 20,000 square feet of indoor/outdoor event space. All the event space has high capacity Internet connectivity and many rooms have natural light. Our dedicated Crowne Meetings Director will assist in planning the perfect meeting. Crowne Plaza Palo Alto is the place to relax. Our hotel's beautiful property features the largest outdoor hotel pool in the area, spa, fitness center, golf driving tee and putting green. Palo Alto is also the home to beautiful Stanford University. Sophisticated and quaint, this university town is filled with parks, tree-lined streets and unique shopping. For some culture, history, or excitement, Gamble Gardens, Thomas Fogarty Winery, Shoreline Amphitheatre, Computer Museum, and California's Great America theme park are all a short drive. 4290 Bistro and Bar: Whether you dine inside or outside, the casual elegance of 4290 Bistro and Bar offers a perfect atmosphere for any meal. Choose from a menu made with only the freshest California ingredients. Also stop by Sundays to enjoy our Sunday Brunch. 4290 Bistro Bar: Catch up on all the sports action of the day, or just enjoy the warm ambiance of 4290 Bistro Bar. Our full-service, casual lounge offers a variety of delicious cocktails, beer, wine and snacks. Be sure to join us from 4pm to 7pm for the daily Happy Hour. Grand Mediterranean Ballroom: Our Mediterranean Ballroom can accomodate 800 for a reception or 600 people for a sit down Banquet. Mediterranean PreFunction: Pre Function Area and Foyer with glass walls, and windows overlooking a beautiful courtyard with fountain and outdoor seating for meals. Cyprus PreFunction & Sun Deck: Cyprus Foyer & Sundeck - Adjacent to Cyprus room Sundeck is an outdoor area connected to the Cyprus room. Can be used as meal area and pre reception area. NICE II: 200 sq ft - Glass enclosed rounded meeting room with Herman Miller chairs and tall ceilings. Club Lounge: Club Lounge - 555 sq feet with 8' ceiling located on the 7th floor of the main building. Views of the city along on wall of room. Bacchus: The meeting room has a fireplace and close access to courtyard area and the restaurant. Stanford Golf CourseThe Stanford University Golf Course was designed in 1930 by renowned golf course architects William Bell and George C. Thomas,Jr. located in the foothills above the Stanford University Campus. Rated one of the finest courses in the world by Golf Magazine. Shoreline AmphitheatreBook our Shoreline Summer Concert Package now and receive complimentary upgrades to our newly renovated rooms. Package includes shuttle service to and from a 5 to 10 minute walk from the concert grounds and complimentary cocktails for 2.